Heat a large pot over medium-high heat. Add oil, carrot, onion, and celery and sauté 6 minutes or until tender. Stir in 1/4 teaspoon salt and garlic; cook 1 minute. 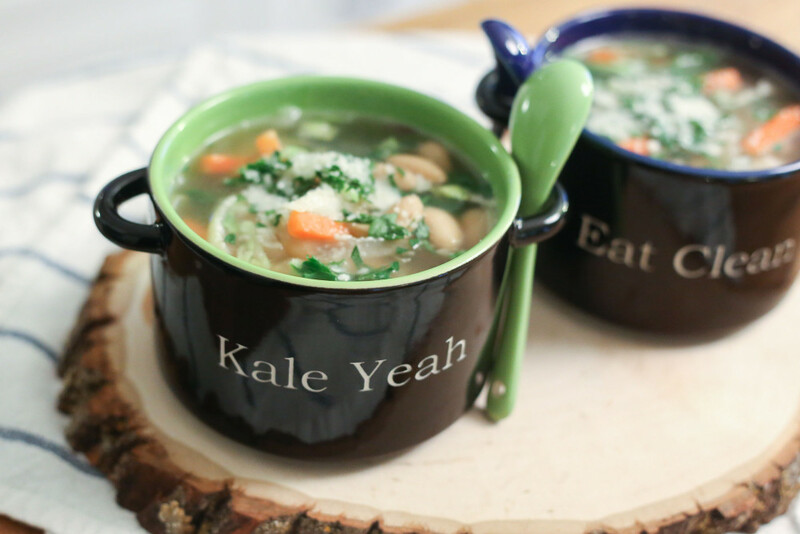 Stir in 3 cups vegetable broth and kale. Bring to a boil; cover, reduce heat, and simmer 3 minutes or until kale is crisp-tender. Avoid oversized portions. Use a smaller plate, bowl, and glass. Portion out foods before you eat. When eating out, choose a smaller size option, share a dish, or take home part of your meal. The effective christians of history have been men and women of great personal discipline. To be a true, effective disciple of christ, we must seek to discipline our lives and endeavor to walk even as he walked.